Sébium Foaming gel is an ultra-soft cleansing formula, use it with the utmost gentleness. The foaming gel that daily cleanses and purifies combination or oily skin. 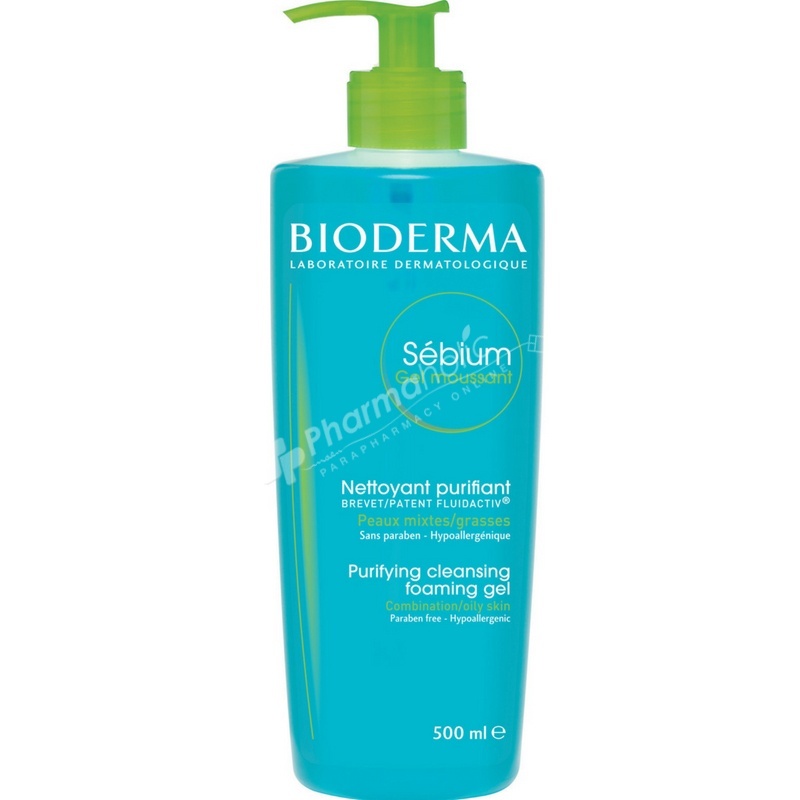 Formulated with non-irritant substances, Sébium Foaming gel cleanses gently. It reduces sebum secretion and purifies the epidermis thanks to the Fluidactiv sebum-correcting complex. It also regulates sebum quality. Its soap-free, washing base guarantees good cutaneous and ocular tolerance. Fragranced formula, non-comedogenic & non-drying. Moisten your face with lukewarm water then work up a lather in your hands with Sébium Foaming gel and apply to your face. Rinse your face thoroughly; rinsing time should always be longer than washing time. Drying your skin is essential but must be done gently. Pat your face with a with a clean, cotton towel. Can be used morning and evening.